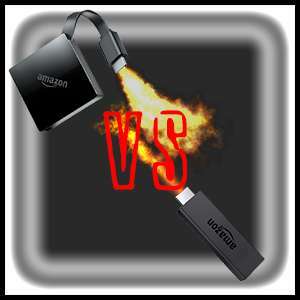 This comparative article is a head-to-head showdown of the Amazon Fire TV vs Fire Stick; their similarities and differences. Learn about the outstanding features and functions of each and decide which will fit your needs. Of course, you may just fall in love with them both. Then, you will decide the master bath needs a new 65″ TV to accommodate one of the Fire devices you bought. What is an Amazon Fire TV? How does it Work? Amazon Fire devices stream media content sourced from the internet. This content includes games, music, videos, and even apps. Many people install third party applications such as Kodi, Terrarium TV or similar onto their Fire device. This gives them maximum freedom in their entertainment options. Amazon makes two different models of Fire device at this time, which are the Amazon Fire TV and Fire TV stick. These two models work very similarly, though there are some differences. Both Fire TV and Firestick devices display these directly onto your TV. It is also critical to note that you can buy a television set that has inbuilt Amazon TV capabilities. Below are the main differences between these models. The Amazon firebox connects to your TV through an HDMI cable, then gets its power through a standard wall wart A/C adapter. The Fire Stick is directly plugged into an HDMI port on your television set, then receives power through a USB connection. This might make the Fire Stick the best option if you have a wall mounted TV. In addition, the Firestick’s power can come from a USB cable plugged directly into any USB port on your television that supports >900mA of power. Any less than this and you chance data corruption, which could include your firmware. The Amazon Fire TV includes a 1.5 GHz quad-core processor, while the Fire Stick is home to a 1.3 GHz quad-core processor. The Fire TV also has 2GB of RAM, compared to the Firestick’s single Gigabyte. While the previous (2nd) generation Fire TV sported a port to connect it to a router using an Ethernet cable, the latest (3rd) generation does not. An optional Ethernet adapter is available for the Fire TV from Amazon, however. None of this is available on the fire Stick TV without modification. Besides, the box has other apps, which are not supported by the fire stick. Mostly, these are games with higher performance requirements. What can you do with the Fire TV and Fire TV Stick? Amazon Fire devices are essentially computers that hook up to your television and provide entertainment. They run an Amazon-modified version of the Google Android operating system. The fire TV is highly integrated with the Amazon instant video services. In addition, there are many other content providers like Hulu, GO, NOW, ESPN, NBA, Disney, YouTube, Netflix and much more that can work with your Fire TV. However, purchasing a Fire TV does not give you automatic access to this content. Therefore, you need to create an account with each of the service providers that provide the content. Some of these contents are free while others are paid for. Apps listed as free on either Amazon or Fire Stick interface means that there is no cost for installing these apps. However, this has nothing to do with whether the content provided by these apps costs money or not. Apart from videos, streaming fire stick TV also supports many music services. These audio services include the iHeart radio, the Pandora, Spotify and the Amazon music. All these audio services are available on your fire stick TV. This is another fun activity that can be performed through either your fire TV or fire stick. Both free and paid games are available on both media player. The most popular games available are the Candy Crush Saga, Crossy Road, and Minecraft. If you have a compatible Android or fire tablet device, then you can have its screen duplicated on your TV. This has the following benefits. a) You can watch non-streaming content from your phone or tablet on your TV. For example, you can scroll through your twitter feeds or check your emails and have everything that you are doing on your phone display on your TV. b) Secondly, the Medias that you can access via your smart phone apps or websites that do not have fire TV built in support can be projected to your TV. For instance, you can watch shows from cable networks and broadcast. The Setting up process for the fire TV is relatively easy since it is similar to setting up any streaming media player. Here are comprehensive steps that will guide you through the setup process. 1. Start by connecting the fire TV to your television set and then plug it in. That means you should switch the television to the input you are you are using with your fire stick TV. 2. Secondly, connect your fire TV to the internet and then follow the on screen wizard to help you through the connection procedure. 3. Next, log in to the service provider of the content you want to watch or access. Upon opening, there are some applications present on the home screen. These are among the most popular apps, as well as the ones recommended for you. In case there is a particular app that you want to install in your fire TV and it is not showing up, go ahead and search for it from the text speech function or the voice search feature on your remote. Upon making the right selection, a screen with various broken down categories will show up. Click on the app that you are interested in, and this will take you to a screen with more details about the specific app. Click on the button saying that you are free to download and install the application. Once the process is over the same button will change and read “open.” When you get back to the fire TV home screen, you will have the installed application under apps library. An original fire stick box is always accompanied by a remote control that permits you to use your voice when you want to search through the Amazon catalog. Additionally, with the version two of fire stick media player you can use Amazon voice assist Alexa to use a few additional content providers. Alexa also does a few added things that you may find useful. These include giving the weather forecast, answering questions, setting alarms, controlling household lights, and even building shopping lists for you. Some of these functions do require related products, such as the Amazon Echo Dot. Alexa works somewhat similar to Apple’s Siri, Microsoft’s Cortana, and the Google Assistant. 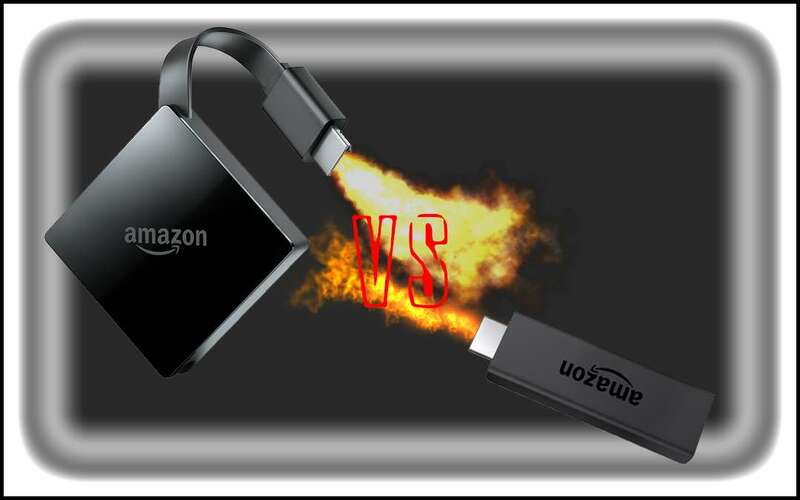 The above descriptions of the differences between the Amazon Fire Stick and the Amazon Fire TV should help you to make the best decision before purchasing one of the two models. Finally, make sure to purchase the original set of any of the two models, then you can get the best from it. This can be ensured by buying only from reputable vendors. In this Fire TV vs Fire Stick comparative article, we attempt to help you decide which is right for all of your needs. Travel a lot? Need more speed?